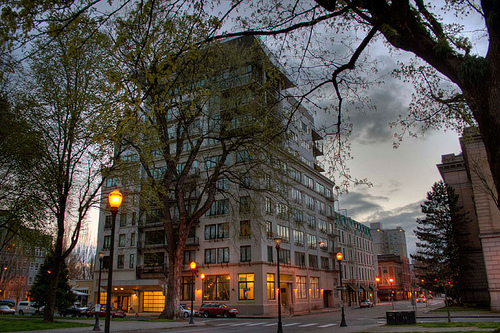 The North Park Lofts is one of the few true loft buildings in the Pearl District. The building was initially a 1908, six-story cement warehouse with ten-foot ceilings and massive pillars. In 1999, after extensive renovation, seismic upgrading, and the addition of four modern floors, North Park Lofts was born. Many of the initial residents remain today, and the strong sense of community continues. The building is surrounded by the sights and sounds of vibrant city living.